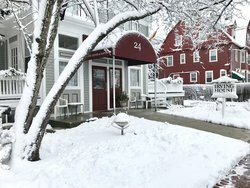 Enjoy a winter getaway! 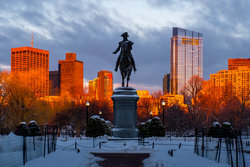 Cambridge and Boston offer many traditional events to keep the New England winter vibrant. There’s nothing quite like bundling up, strapping on some skates, and gliding around an ice rink during the winter. In close proximity to Irving House, there are multiple opportunities to do just that. Harvard Skate is located in Harvard Yard and is a winter rink just 10 minutes walking from Harvard. Community Ice Skating @Kendall opens after Thanksgiving. They offer skate rentals, snack bar, lessons and more! Voted Best Outdoor Skating Rink in the US by USA Today, the Frog Pond is located in the Boston Common and is easily accessible by the Red Line. The park is beautiful during the winter months with holiday lights and the usual snowfall. Here’s the season’s schedule. The Cultural Survival Bazaar is a great place to buy unique gifts made by indigenous artists and co-ops. The Bazaar takes place in Cambridge on December 9-10 and in Boston on December 15-17. The Cambridge Winter Farmers Market is an indoor farmers market that occurs each Saturday, January 6th – April 7th. The market hosts more than just farm vendors and is a great place to grab lunch or fresh fruit for a snack. Harvard Square Holiday Fair, a longstanding tradition, takes place over three weeks. It’s free to attend so feel free to window shop! SOWA Holiday Market features artisans, food vendors, carolers and more! 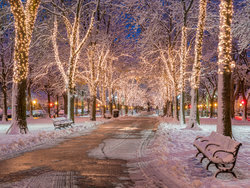 It’s located in the South End neighborhood of Boston, accessible by the T.
Yes, it might get cold during the winter months but the city also comes alive and literally sparkles! For example, Harvard Square’s Sparklefest includes a tree lighting, musical performances, a 5k and more. Check out Harvard Square’s website for the full list of events. Other tree lightings also take place across the city. From Faneuil Marketplace which includes a light show, the State House Tree Lighting near the Boston Common (which also has a separate tree lighting), Copley Square, and Commonwealth Ave, you have many tree lightings to choose from! Somehow, Boston Sports Fans maintain energy year round. Consequently, coming to Boston for The Celtics and The Bruins home games at TD Garden is a great way to spend the winter season! One of the best Winter activities is to escape the cold for some entertainment. That being said, Brattle Theatre shows classic, independent, and foreign films year round. ImprovBoston is sure to bring some laughs, plus you can get 25% off as an Irving House guest; just ask the front desk for a coupon code! Holiday Pops is an annual Boston tradition. Symphony Halls is filled with cheer, holiday music, sing-alongs and much more! One of the biggest reasons people love Boston is the history. The Boston Tea Party Reenactment on December 16th gives attendees the opportunity to join in on an iconic protest. Festivals and Food Events in Boston and Cambridge happen year round. Winter is no exception! Here’s a winter calendar for you to peruse, and below is a list of our favorites. Click on the link of each event for more information. Children’s Winter Festival – February 2019, has arts & crafts, games, inflatables, and a photo booth at the Frog Pond at Boston Common. Free. Extreme Beer Fest – The 16th annual Extreme Beer Fest is held annually at the Seaport World Trade Center in Boston, Mass. Featuring 120+ brewers and 400+ beers, across two days and three sessions. Eater Boston – latest restaurant news and reviews. Regardless of your interests, Boston and Cambridge will have something that piques your interest during the winter months. As a bonus, this is the least expensive time to travel to the area. 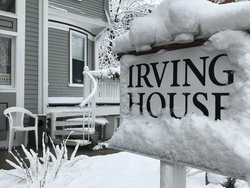 Book now at Irving House to secure low rates!